This morning at 6.30am, I ran my fastest mile so far - I am still secretly high-fiving myself at 3pm this afternoon. 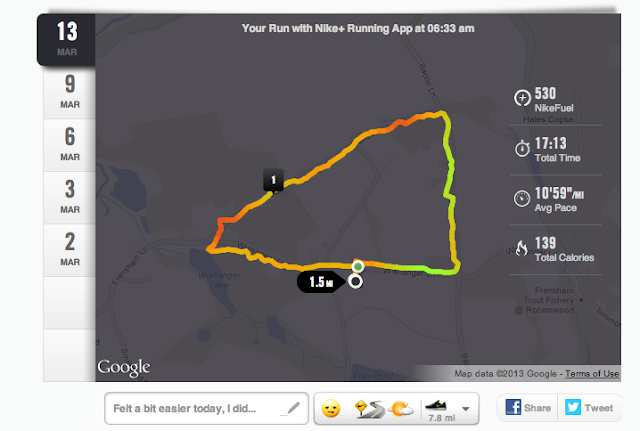 I have ran a total of five runs, 1.5 miles ish each (including todays) and they are ever so very slightly starting to get a tiny bit easier, so much so, that I have shaved off nearly one whole minute from my post last week 'The start of something new'. To help me on my way round, to keep me on some sort of track and to monitor how I am doing each time, I downloaded the 'Nike +' app (free) to my iphone. It is easy to use and gives me all the information I want to know, it also syncs to the 'Nike +' website and everything is clear to read and understand. 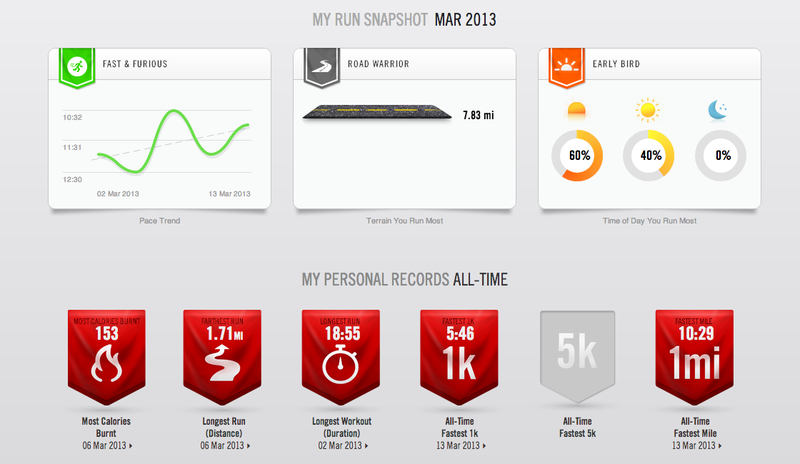 The images below are a snap shot from my 'Nike +' web page and my progress so far. 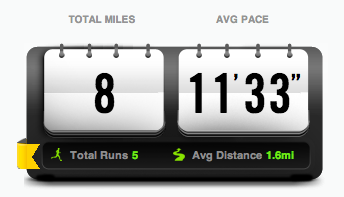 I have a long way to go, but after five runs I am happy with how things are looking and aim to improve. Make sure you check out my first post 'The start of something new'. Thank you Nicole. The app does make it more fun and easier. 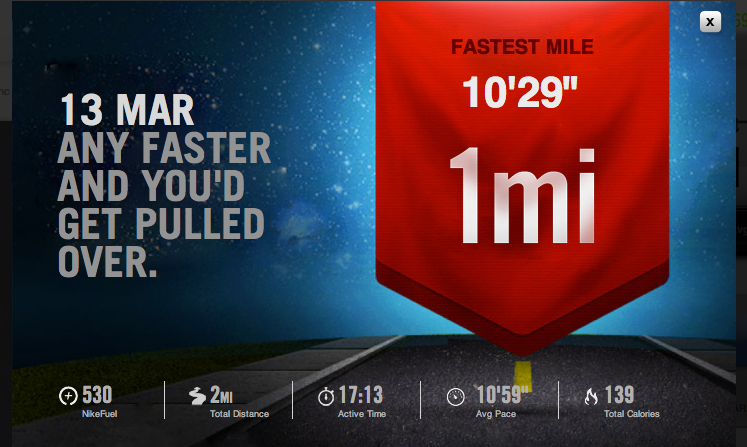 I don't think I could do it with out being told how far I've run and then seeing the results after. It is helping me, thats for sure.